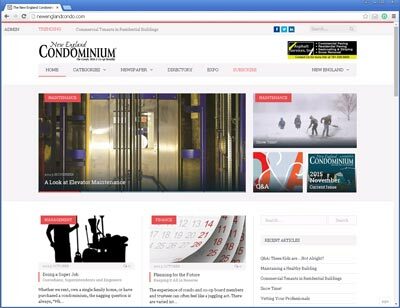 The online version of the New England Condominium®—like its print publication—addresses issues of importance to the condo, co-op & Planned community, and also features a comprehensive searchable archive of past and current Cooperator articles. Newer features are a current calendar of events, commentary and questions plus interesting news of the day in the New England area condo, co-op & Planned community. Visitors can also find a useful service directory of businesses that serve condo, co-op & Planned community.